Volvo recently told collision repairers that the steering wheel must be replaced if its airbag blows, and many other parts might also need to be swapped out following various airbag deployments. Any airbag deployment at all triggers the need to inspect occupied seats (“When in doubt, replace,” Volvo writes) and automatically demands the shop replace all pretensioners and seatbelt buckles on those occupied seats, according to Volvo. However, you also must inspect “Seat belts, buckles, car seat anchors and other components” related to all unoccupied seats too, Volvo wrote. “When in doubt, replace,” the OEM stated. There are two other safety systems whose deployment automatically triggers at least an inspection, if not a replacement. 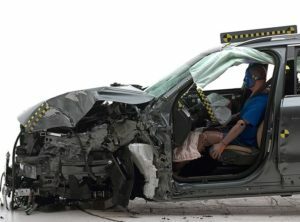 Knee airbags can fire after a crash, and if it does, the shop must inspect the dash, according to Volvo.